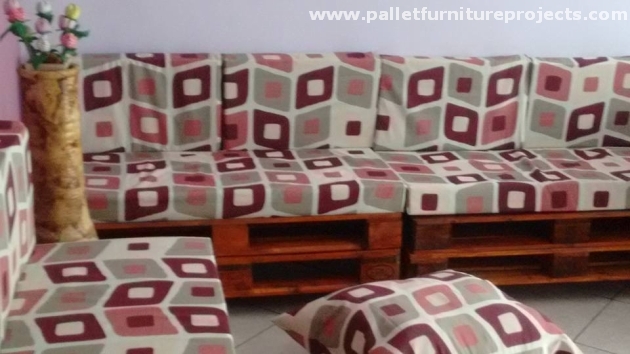 It is always preferred to arrange some fresh pallets when you have plans to recycle them. This fact is also kept in mind that what sort of material was shifted through these pallets. So normally the deteriorated and cracked ones are denied, new and fresher pallets are always preferred over them. But a true crafter is the one, who even utilize these broken and cracked wooden pallets. So making a wooden pallet couch with relatively older ones would certainly be a bit of different experience. 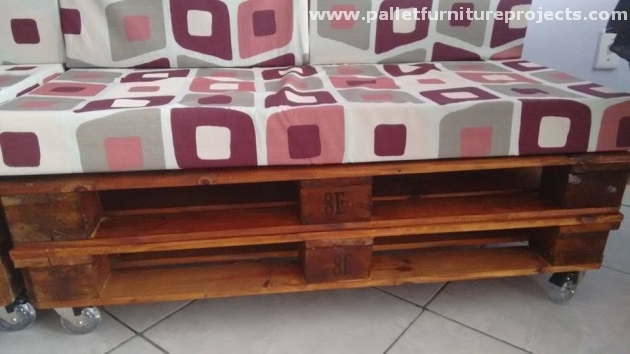 But despite these old and broken pallets being used in making this couch, it would still look pretty acceptable. Couch is such an important furniture installation, that no house, office restaurant or any other place is incomplete without some stylish couches. We buy them from the form market against hundreds and thousands of bucks, we argue for minor relaxations, we negotiate for discounts. But this blessing of wooden pallet recycling has literally set us free from all these messy things. That’s why we so strongly argue in the favor of pallet wood recycling. We have the full command on design, appearance, shape and even the expenses due to occur on the product. 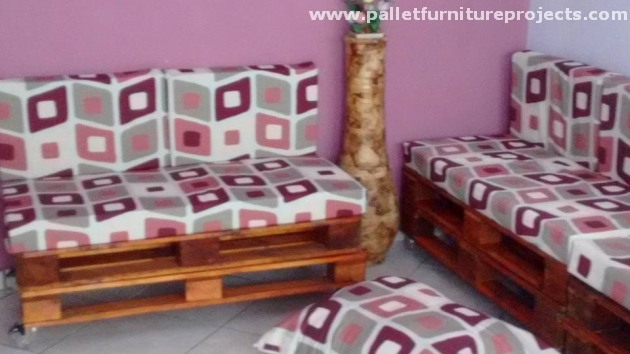 Here in this article we are having a discussion on a wooden pallet couch recycled with old shipping pallets. But as we promised, the final product does not reflect any sort of flaws in it. We have very well sanded the pallets, and then we painted them with brown color to hide and camouflage all the flaws if any. 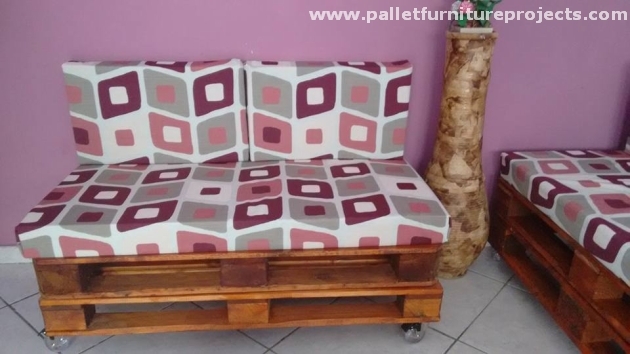 The base of couch is made by putting one whole pallet on another, and on the base we have fixed metallic wheels to make this couch mobile which is always an immensely supportive feature for any wooden furniture item.